The Music Scientist's Blog | A place to discover music in an easy and simple fashion. Video for “When I’m Small” by Phantogram. This post is dedicated to Andrea and Pat, who have inspired us today. We hope to meet over crepes very soon . It has been a while since we last posted and for that we apologize. Those who control our virtual fate by owning web hosting sites decided that they had had enough of our superior music knowledge and ended our relationship without notice. But like so many revolutions in the world we will not be quieted. As of today we are back where we started and will continue to share our love with music with any who listen. The year 2011 is looking to be a great one, as far as music is concerned. So many new albums and live shows to enjoy. 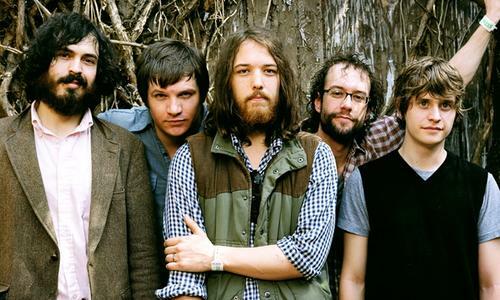 Tonight, I want to share with you a few songs from the upcoming Fleet Foxes album that will be released on May 3. One of the songs, titled Helplessness Blues, could be my favorite song of theirs and makes me dream of a life with a deeper meaning. Stay tuned because we will be unloading new posts as quick as we can.